Please fill in the short form below with your question, either about the Lowrance Link-5 Fixed VHF, or for some technical advice. Please include details of your vessel if you feel they will help us answer your query. Link-5 has six quick keys for simple and reliable helm operation, plus a built-in speaker that delivers clear audio that is easy to hear – even with the ambient noise typically associated with boating. Link-5 also features an easy-grip rubber molding cover for secure holding and operation. It also features an efficient, extra-large rotary knob interface for easy channel changing, menu navigation and setting control. 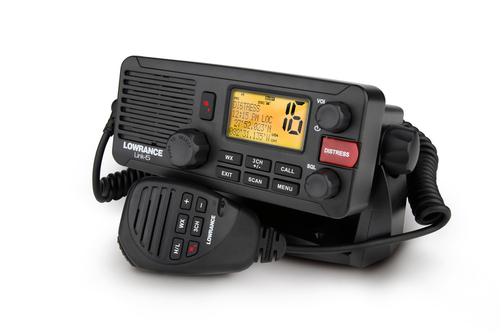 The Lowrance Link-5 features an extra large Channel 16 key, dedicated volume and squelch knobs, weather keys, selectable Dual and TriWatch modes, local and distant functions, and three user-programmable (“favorites”) channels. Safety is always a concern; Lowrance designed the Link-5 for clear and simple Class D DSC operation. Clear display of GPS lat/lon data is presented on a 1 x 1.8 in (2.6 x 4.6 cm) LCD display with adjustable backlighting. The system provides easy access to all DSC functions. 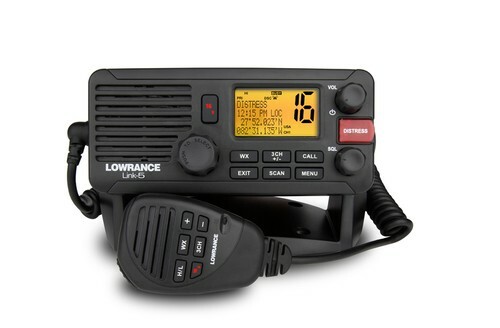 Equipped with memory retention, the radio logs up to 10 distress calls and 20 individual DSC calls. DSC control keys include (priority) 16/9, WX, 3CH/+/- for quick channel changing, CALL, EXIT, SCAN and MENU. Additional system features include a rotary volume control with power on/off, all-channel priority and memory channel scans, 20 user-programmable names with MMSI, 10 weather channels with a 1050 Hz tone alert and a second receiver for incoming DSC messages on Channel 70. 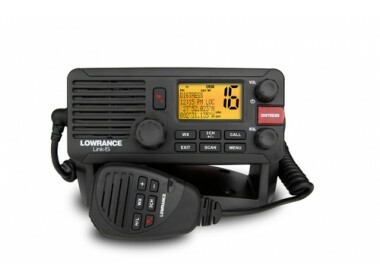 Offering selectable 25/1-watt transmit power and NMEA 0183 compatibility, the Link-5 includes a flush-mount kit, wires for 4-watt external speakers, a PL259 connection for optional 2.4 m and 1 m fiberglass antennas.